Ankle brace provides excellent support to sprained and strained ankles. 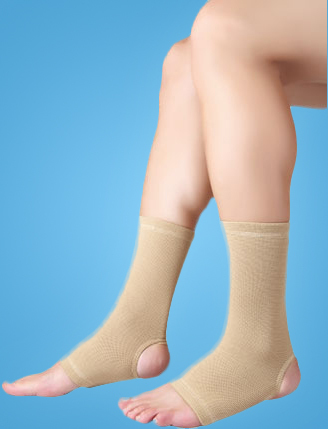 One of the unique characteristics of ankle support is that it remains warm in winter and cool during summer. It is a highly recommended product in sport related injuries as it provides effective protection. Ankle sprains or strains can occur to anyone at any stage in life. They can occur either by falling, tripping, general exercise or sometimes due to inappropriate landing while jumping. The person injured experiences immense pain, swelling, bruising, cramping and even loss of movement in the affected region therefore pain management is very important. The problem of ankle sprain and strain is very common and needs to be well taken care of by the complementary use of Flamingo Anklet. Flamingo Anklet is available in S, M, L, XL and XXL, so that people can purchase it as per the exact circumference of their ankle joint.